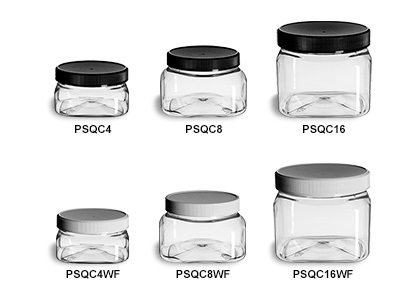 Our clear square plastic jars are made of high-quality PET plastic. This durable, resilient plastic is food grade and made in the USA. The wide mouth design of this series makes it an ideal choice for bath, beauty, and grooming products. All pricing includes lids.